Who is Liable for My Road Construction Accident in San Diego? Sometimes, road construction and poor-quality signage can lead to serious car accidents. Without proper signage or adequate warning, drivers can be at serious risk at these construction sites. In addition, determining the liability and paths to seek compensation can be difficult. Despite these potential complications, it is important to seek legal remedies if road construction caused your accident. In the city of San Diego, you can file a form if you are planning to file a claim against the city. We do suggest speaking to an accident attorney to make sure you are following the right steps. Road construction can cause accidents due to a number of possible situations. However, there are a few common mistakes that lead to significant driver injury and property damage. The road construction process can leave the pavement in dangerous condition. Uneven pavement, ridges, holes, cracks, and other defects can become serious hazards for motorists. Proper signage should warn drivers of dangerous road quality, but sometimes, construction sites ignore some of these regulations. Improper and inadequate signage can also contribute to car accidents. Specific federal and state regulations govern different construction sites. These regulations state where road constructions signs should be, what types of signs construction sites need to use, and how many signs they need. Failure to follow these regulations can lead to serious accidents. Dangerous regulations for motorists can also cause accidents at construction sites. Sometimes, construction companies or government agencies will post regulations regarding where and how sharply a motorist can turn, along with vehicle speed. If a motorist encounters a sharp turn at a high speed without adequate warning, accidents can occur. In all of the above situations, the construction company and/or the government agency may be liable. However, these types of accidents can be complex and involve multiple parties. To file a lawsuit against a construction company, government agency, and other involved parties, negligence will need to be established. To accomplish this, the case must meet three conditions. First, the at-fault parties must have had a duty to keep the construction zone safe. Depending on the situation, you will need to check with state and federal agencies to ensure that the site complied with necessary regulations. It may also need proven that the construction company needed to take reasonable precautions to keep the site safe. An experienced car accident attorney can help you determine applicable laws and establish this duty. Next, the at-fault parties must have breached their duty to safety. Any non-compliance or broken regulations can help you establish this condition. For example, failure to follow signage regulations is a breach of duty. Finally, you must have suffered injuries and damages as a direct result of the breach of duty. For example, if the site failed to place adequate signage for dangerous road conditions and those conditions caused your accident, you can prove that the negligence caused your injuries. In Texas, the courts operate under a modified comparative fault rule when determining negligence. If the jury finds you to be responsible for a portion of the accident, they will deduct the percentage of your fault from your final settlement amount. For example, if the jury finds you at fault for 15% of the accident and you have a settlement of $10,000, you will receive $8,500. What if Government Agencies Are Involved? Many road construction accidents involve state and federal government agencies. Depending on the agency, you may need to follow a special set of regulations to seek compensation. A local personal injury attorney can help you determine these requirements. Whatever the circumstances, it is important to seek the assistance of an experienced personal injury attorney to represent your lawsuit or insurance claim. 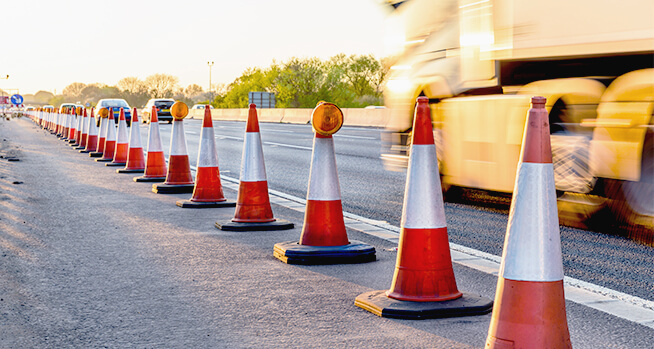 The liability issues involved in road construction cases are complex and require a strong legal background. For optimal results, speak with a car accident attorney today.